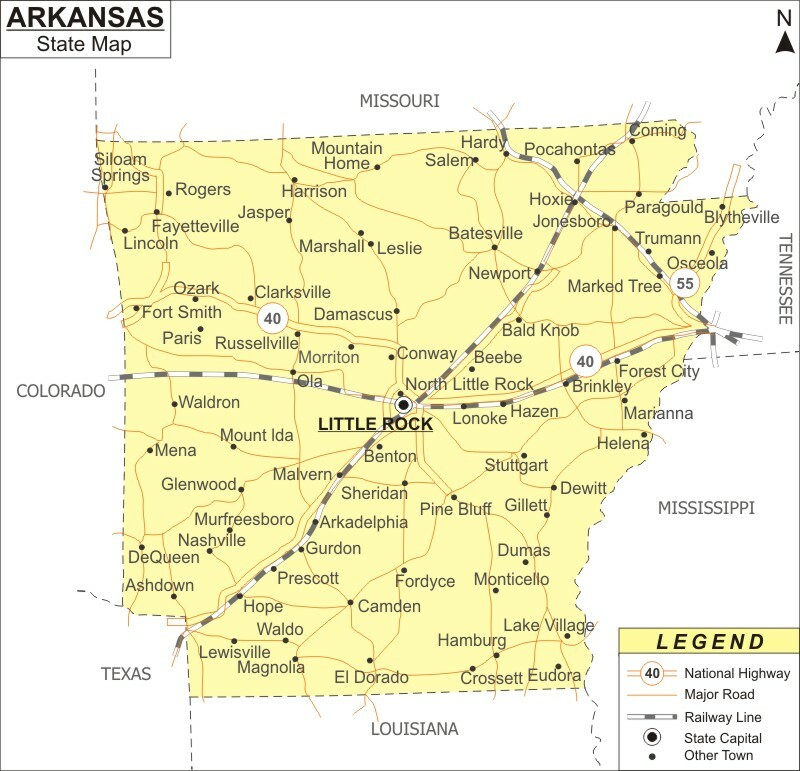 About Map: Arkansas Map showing the capital, state boundary, roads, rail network,rivers, interstate highways, major cities and towns. North-South interstates include: Interstate 15, Interstate 17 and Interstate 19. East-West interstates include: Interstate 8, Interstate 10 and Interstate 40. US Highways and State Routes include: Route 60, Route 70, Route 89, Route 89A, Route 93, Route 95, Route 160, Route 180 and Route 191.